Squatting is a relatively new phenomenon in Estonia, as is the movement itself. So far we have had three attempts at creating a squat. 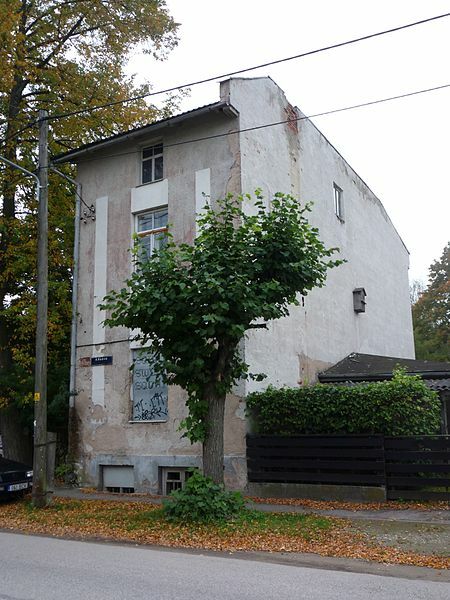 The fourth, located in Anna Haava 7A, the most successful squat in Estonia so far and the first one in Tartu, is now facing possible eviction. We strive to keep our house, for that we need the support from both the local and the international community. When we occupied Anna Haava 7A in the spring of 2011, we had a vision but little clue as to where this vision would end up leading us. We began the renovation and reconstruction works with the goal of creating a functioning cultural center on the first floor and living spaces on the second and third floor. As time passed, people started to show more interest towards our work. Along came the helping hands of like-minded folks. After organizing our first public events as a part of the annual international literature festival Prima Vista the house started living its active life. Good publicity and support to our actions from our neighbors and from people from Tartu and elsewhere gave us a lot of inspiration. We continued fixing up the house and cleaning the garden, trying to find solutions for water, electricity and heating. During these two years tens of people have lived in the squat and their voluntary work has contributed to the development of the house. Thanks to the growing community, we successfully kept open a Free Shop, offered soup to our visitors on Sundays, and hosted many guests from abroad. On the 6th of February, the City Council let us know that they are unhappy with our activities and gave us until 15th of March to leave the house. 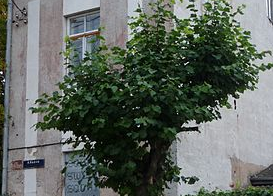 We knew the house belonged to Heldur Tõnisson, a 100-year-old businessman and a son of Jaan Tõnisson, an influential Estonian politician of the pre-war era. Heldur Tõnisson who is often quoted as being one of the richest Estonians in the world, is currently living in San Francisco and for the past 20 years he has let his house stay abandoned, leaving it for the looters and weather to destroy. The articles from 2008 imply that the citizens have turned to the city’s authorities before, mostly in hopes that the ghost mansion be turned into a house museum. It is therefore hard to understand why they now wish to re-establish the situation where empty houses would only serve as a winter den of the homeless and/or be destroyed by vandals. According to the allegations of the City Council our activities are a hazard to the building. The only thing they back this up with is a small accident with a gasolene generator in early January. We acknowledge that this incident was potentially dangerous but thanks to house residents’ quick and competent actions the damages were limited to the basement door. After the incident we carried out a major security check, installed additional smoke detectors, and started to generally watch out more to protect the building and ourselves. To make sure the house will remain in its best possible condition we wish the City Council would cooperate with us instead of evicting us. Our community needs an output and we are sure that our house has potential as its center and to enrich the cultural scene of our hometown. We plan to open the Free Shop again, to organize movie and poetry nights, continue with the evenings of permaculture etc. We want to make the world a better place for all of us to live in, we are interested in alternative, environmentally friendly ways to organize the society. Discussing the matter with the City Council left the impression that they have little information about our activities there. They were even surprised to hear that we only use the house in 7a, and not the other building on the same premises. We wish to hear explanations about the background of this decision. So far we have received contradictory information as to whether the initiative to stop our activities came from the owner or from the city authorities. It also remains unclear why we are being associated with a number of accidents that have occurred in the neighborhood.